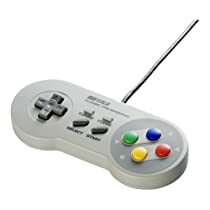 Always dreamnt of using your NES® controller with your favorite PC game? Now you can! 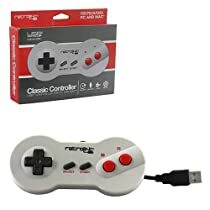 Retrofitted by Retro-Bit®this Retrolink® USB® controller plugs into any PC or Mac® with a USB® port, giving you that classic NES® feel. Whether you're about to go toe to toe with Koopa or racking up frags on the hottest PC multi-player, now you can go old school with every weapon in your arsenal. Relive the classic NES® experience on today's games! These controllers are nice but one real issue I have with them is that the D-pad doesn't pivot at all. What this means is that opposite directions can be pressed at the same time, like left and right or up and down, which is not desirable and causes problems for me in many games. The D-pad has 4 points of contact and that works great for up, down, left, and right. However, when playing games and trying to move diagonally this controller cannot do that.